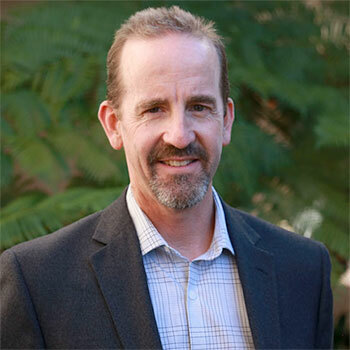 Francis J. Doyle III, a distinguished scholar in chemical engineering at the University of California, Santa Barbara (UCSB), has been appointed the next dean of the Harvard School of Engineering and Applied Sciences (SEAS) and will take the reins on July 1. Doyle most recently served as associate dean for research at UCSB’s College of Engineering, where he instigated a major push into bioengineering. He led faculty at two colleges in developing a strategic vision for research and education and in programming and designing a state-of-the-art facility. As founding associate director in 2003 and now director of the multicampus Institute for Collaborative Biotechnologies, Doyle brings together the research and educational efforts of 55 faculty spanning 15 departments and the campuses of UCSB, Caltech, and the Massachusetts Institute of Technology. As a scholar, Doyle applies systems engineering principles to the analysis of regulatory mechanisms in biological systems. His work includes the design of drug-delivery devices for diabetes; modeling, analysis, and control of gene regulatory networks underlying circadian rhythms; and computational analysis for developing diagnostics for post-traumatic stress disorder. Doyle also applies control schemes to nonlinear, multivariable, constrained industrial processes such as particulate systems and pulp and paper operations, and works on control aspects of sheet/film processes. Doyle has been named a fellow in the American Association for the Advancement of Science, the American Institute for Medical and Biological Engineering, the International Federation of Automatic Control, and the Institute of Electrical and Electronics Engineers. Doyle takes over at a time of great change and opportunity for SEAS. The number of undergraduate concentrators at SEAS has risen steadily in recent years. And the School is undertaking both intellectual and capital planning for an expansion into Allston. Last November, former Microsoft CEO Steve Ballmer ’77 lent his financial support to a plan to increase the computer science faculty by 50 percent over the next few years, to 36 from 24. Doyle received his bachelor’s degree (B.S.E. in chemical engineering) from Princeton University in 1985, a Certificate of Postgraduate Studies from Cambridge University in 1986, and a Ph.D. in chemical engineering from Caltech in 1991. In 1992, he joined Purdue University as an assistant professor and was later promoted to associate professor. In 1997, Doyle moved to the University of Delaware as an associate professor and was then promoted to professor. And in 2002, he was appointed to the Duncan & Suzanne Mellichamp Chair in Process Control at UCSB. This article originally appeared in the Harvard Gazette.